In a unique process Svendingtray can apply full color print to the entire visible surface of a vending tray. That means that you can apply anything that can be printed to any surface of the tray, giving you unique control over the brand expererience. To protect the printed paper against wear it is laminated with a thin plastic film. 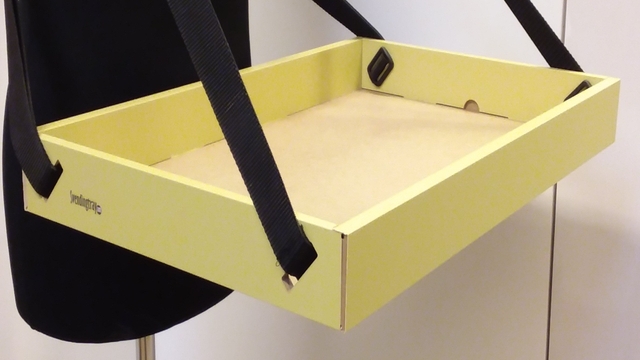 Folding: The trays are shipped flat and need to be folded before use. This takes about 2 minutes per tray.